ServiceBase are committed to quality. We aim to provide a personal service which we feel is important when you are having work undertaken at your home or business. We are a small company dedicated to providing affordable, quality building services. Founded in 2010 the directors have a wealth of experience in the building and refurbishment sector. 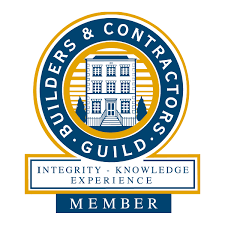 We have over 25 years experience in fact, from installing a bathroom to converting a loft to undertaking large insurance work and grant renovation work. The quality of our work is first class; we only employ qualified or experienced tradesmen. Tradesmen, that we have spent years building up a working relationship with. We know that quality and value for money is important. You can be assured that ServiceBase know this and always aim to provide value, reliability and professionalism. Servicebase are a Denbighshire, Conwy & Flintshire County Council approved contractor. ServiceBase are a CHAS accredited contractor. We also undertake adaptation work; bathrooms, ramps etc which are VAT free. Take the hassle out of building works. We are the one stop shop for all building services.